Google's focus on cloud-centric technologies is nothing new. It pushes web services, the Chrome browser, and the cloud-based Chrome OS. There have even been rumors of a Google streaming game service called Yeti. Now, Google is going public with its interest in game streaming with Project Stream. This experimental technology can allegedly stream a AAA game to your browser with minimal lag and no graphical degradation. Google says that the future of streaming technology is much more than video. 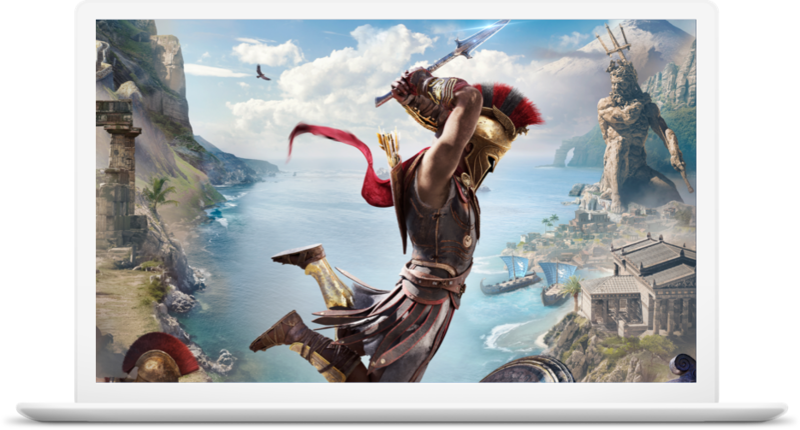 It has partnered with Ubisoft to build a demo of Project Stream around the upcoming Assassin’s Creed Odyssey. Unlike video, a game requires extremely low latency for direct control of the experience in real time. Buffering and graphical errors that might be acceptable with video aren't going to fly when playing a game. NVIDIA has, of course, offered game streaming for several years with GeForce Now, but it hasn't exactly caught on. For GeForce Now, you've traditionally needed a piece of NVIDIA hardware like the SHIELD, but Google says Project Stream works in the Chrome browser on your computer. Project Stream isn't necessarily limited to games, but that's where Google is starting. You can sign up to try Project Stream when the service launches on October 5th, but this is a limited time test. Google doesn't say how long it will last exactly, but the end date will be sometime in mid-January. You'll be able to play Assassin’s Creed Odyssey for the duration, though. You need to have at least 25Mbps of download bandwidth to use Project Stream.